LOST!!! 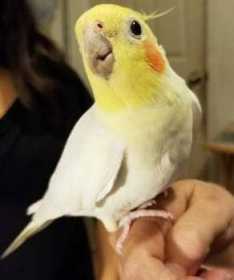 COCKATIEL 'SUNNY' OFF HWY 3 / OLD GALVESTON RD, GULFGATE / SOUTH HOUSTON, HARRIS COUNTY, TX 77017 "Lost Cockatiel on 9/17/2018. He is a very special bird to my Father. Now my Father is heart broken. We lost in in the Gulfgate/South Houston area off of Hwy 3/Old Galveston Rd. 77017 area.